Pay Setup & 10 months Service fees; Get 2 months FREE! If you’re wanting to project a professional image this package will accomplish that goal for an inexpensive cost. The companies just starting out can get their business going without signing a long-term agreement with this package. The Identity includes a business address to receive courier items and mail. 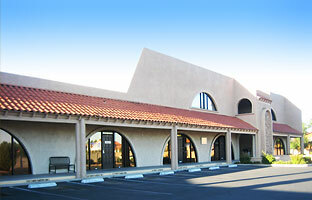 All marketing collateral can use this prestigious Las Vegas business address. All clients must properly complete a United States Postal Service form 1583. Virtual offices of Las Vegas is a registered CMRA through the United States Postal Service. The Identity is a full-service mail only package. Mail pick-up is available during office hours free of charge. Applicable charges apply for mail forwarding. Initial agreement is for 3 calendar months then converts to a month-to-month. Clients can upgrade their packages as their needs change. When it’s time to give your business a new voice and take it to the next level, the Starter package is for you! The Starter package offers business address services as well as phone answering to help your business grow. The Starter package includes the business address service for your business mailings, courier items, and your marketing collateral. The Starter package includes mail service. Mail pick-up is available during office hours free of charge. Applicable charges apply for mail forwarding. The Starter package includes a local telephone number and automated answering of calls. The automated greeting is human-recorded and states your company’s name. The greeting can offer up to 3 dialing options* for your callers. The calls are routed to a voicemail greeting. The calls are converted into .wav file messages. These messages are sent to your email inbox. The Starter package includes unlimited messages via .wav files to email. All clients must properly complete a United States Postal Service Form 1583. Virtual Offices of Las Vegas is registered with the USPS as a Commercial Mail Receiving Agent (CMRA). *Dialing options are routed to external numbers. Domestic calls to the 48 continental United States of America included. International calling rates apply on a country by country basis for all minutes. Standard live answering and the business mailing address are bundled together in this package. Simply forward your phone number to our staff and we’ll answer your calls. The Virtual Offices of Las Vegas business address will be used for your business mailings, courier items and for all your marketing collateral. Mail pick-up is available during office hours and is free of any charges. When forwarding your mail additional charges may apply. The PRO package includes a local telephone number, automated answering of calls and Standard Live Answering. The automated greeting is human-recorded and states your company’s name. The automated message is used after office hours. The greeting can offer up to 3 dialing options* for your callers. The calls are routed to a voicemail greeting. The calls are converted into .wav file messages. These messages are sent to your email inbox. The Starter package includes unlimited messages via .wav files to email. The PRO also includes Standard Live Answering which will have your calls answered Monday to Friday 9 am to 5 pm local time by US-based staff versed on your company. This package starts at 100 live answered calls and the receptionist will take a friendly message and sends the message via email or text messaging only. *Domestic calls included for the 48 continental United States of America. International calling rates country by country apply. Initial term is 3 calendar months then converts to a month-to-month. You may upgrade your account at any time when your business needs change. Premium live answering and the business mailing address are bundled together in this package. Simply forward your phone number to our staff and we’ll answer your calls. The PRO PLUS package includes a local telephone number, automated answering of calls and Standard Live Answering. The PRO PLUS also includes Premium Live Answering which will have your calls answered Monday to Friday 9 am to 5 pm local time by US-based staff versed on your company. Starting at 100 live answered calls and includes: screening, forwarding and electronic messaging via email or text messaging included.